What is "Miracle in the Andes"? Miracle in the Andes is about a rugby teams plane crash in the Andes Mountains in 1972. The author, Nando Parrado, gives details about the day by day struggles the survivors had to deal with. He writes about every event that happened, it feels like you are right there with him. This video gives you an idea of who Nando Parrado, the author, is and what kept him alive during these 72 days in the Andes Mountains. Nando Parrado- Nightline Online- Alive at Any Cost Video - ABC News. This book should be read because it shows the bravery a single person can possess. It also makes you thankful for life. The Andes Accident official website. All of the boys on the plane. A picture of the actual plane crashed on the mountain. A picture of the crash and survivors on the front cover of a newspaper. 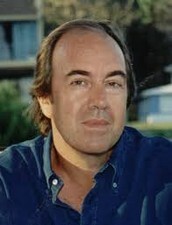 Want to contact Nando Parrado? This marks 43 years after the rugby team crashed in the Andes Mountains in 1972.